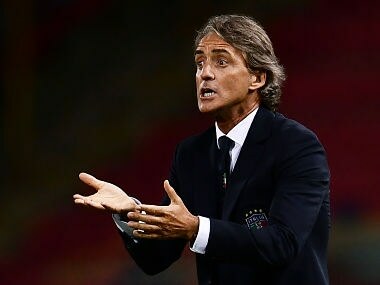 Bologna: Roberto Mancini believes that only confidence is needed to turn a mediocre Italy into a world-class team again after Jorginho rescued a point for the new-look Azzurri in a 1-1 draw against Poland in their Nations League A Group 3 opener on Friday. Jorginho's penalty 12 minutes from time made amends after the Chelsea midfielder's blunder had allowed former Napoli teammate Piotr Zielinski's opener for Poland just before the break in Bologna. 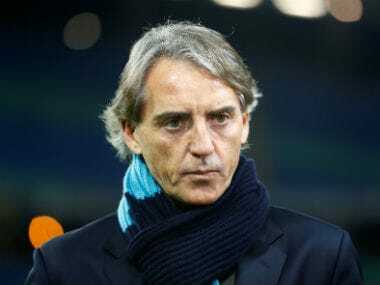 Mancini, 58, was appointed after the four-time winners' shock failure to qualify for the 2018 World Cup. And after a timid start, key substitutions — including promising Fiorentina forward Federico Chiesa — allowed the former Inter Milan and Manchester City manager to save face in his first competitive game in charge. "I knew it was going to be difficult. They are a team that, at this moment, have more confidence than us," said Mancini. "In the first half we made some technical mistakes, but then in the second half the guys were very good." "Mario needs to play, he is an experienced player on the international stage, but his fitness levels are an issue right now," explained Mancini of the 28-year-old Nice player. "There are many young players we can build on and I think we saw that in the second half, as we pushed forward and more importantly didn't make as many errors in our passing. "Chiesa? Like him, these are all boys to bet on." Italy struggled early in all areas, Zielinski opening 40 minutes in by converting Robert Lewandowski's pass after Jorginho was caught in possession. "We could not find the passing lines, to give rhythm to our play," said Brazil-born Jorginho. "I personally made a lot of mistakes. It takes time. We don't play much together, but I'm confident because I see a team trying to play football. "This is important. We are on the right track. If you play with fear you have the possibility to make mistakes." "We have no room for error on Monday," added Juventus defender Leonardo Bonucci. "Cristiano Ronaldo is very strong, but his absence shouldn't deceive us: Portugal are still a very good team, they are the European champions and we will have to give them the maximum respect." "It's an important point, it's just a pity we were unable to make more of our chances," said coach Jerzy Brzeczek, who took over after Poland crashed out in the group stage of the World Cup.